Earned back-to-back trips to the NCAA Championships for the first time in school history (Fourth appearance in the last six years). Set a new team total record and the program's best, first score above a 197 with a 197.1 at Gym Jam. 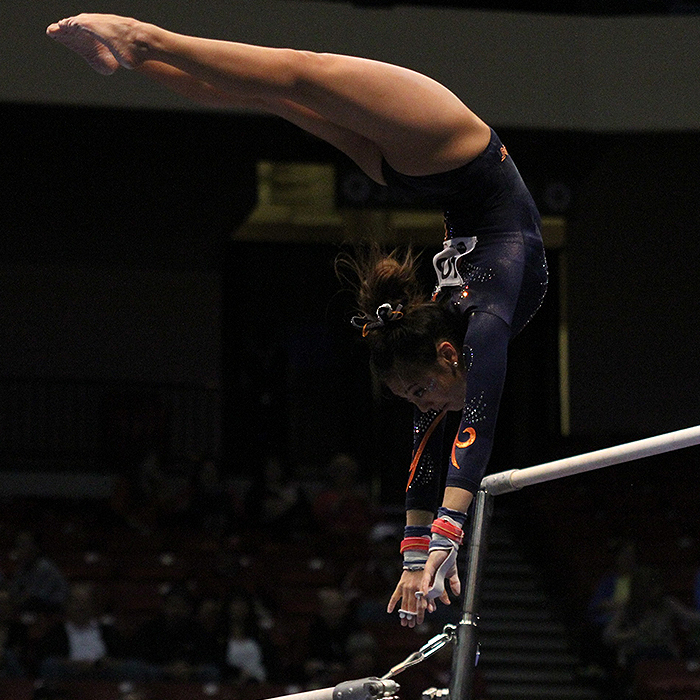 Amber See become the third Illini gymnast to score a perfect 10, accomplishing the feat on vault. Tallied it's second highest score ever at the Big Ten Championships with a 196.625 and its second highest score ever at an NCAA regional meet with a 196.6. Set new vault record by scoring a 49.25 at the State of Illinois Classic. Placed five total scores on the all-time top-10 list, including three of the top four.